Wow. I’m not exaggerating when I say that this past weekend was one of the best times of my life. 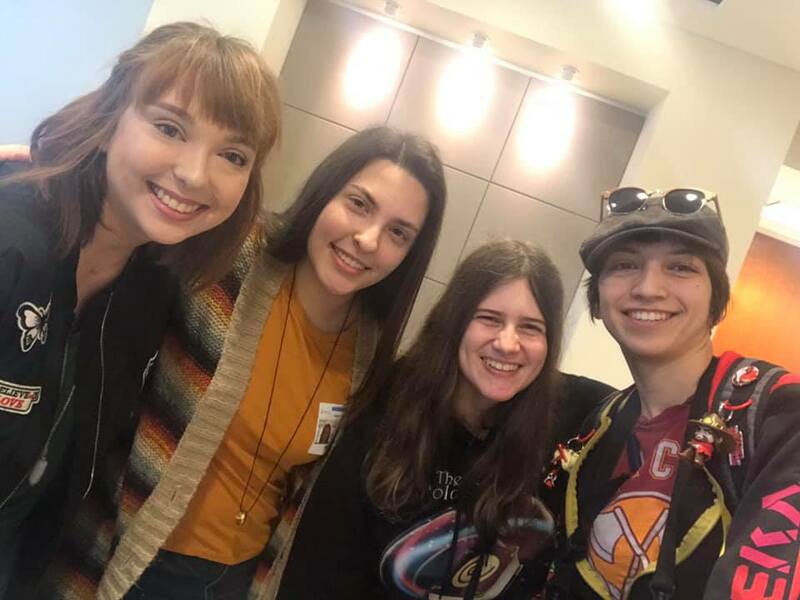 I’ve been in this community for 6 years, formed strong bonds with many community members since then, and I finally got to meet some in person! In case you missed my announcement post, PAX South is an annual gaming convention held in San Antonio, Texas. 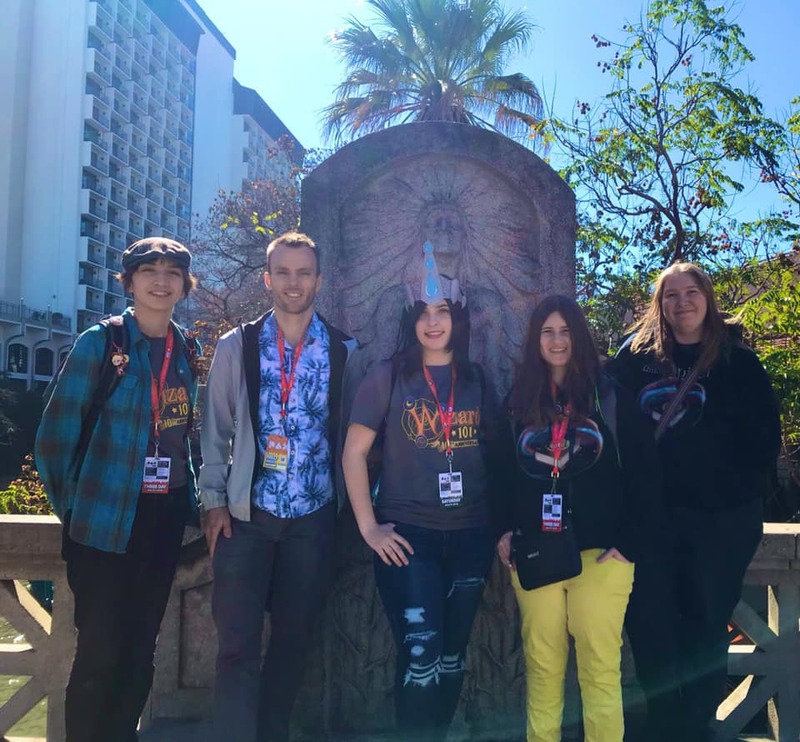 This year, we (The Untold Spiral, DuelCircle, and KingsIsle) wanted to gather as many community members as possible and have some fun! Mission accomplished. Now it’s time to share all the crazy things that happened! Those who follow me on Twitter know that I’m very close with Mercedes (TheArtofWarlord). When everybody was making plans and deciding on hotels and transportation, I agreed to let her stay in my dorm room for the duration of the trip. She arrived in the afternoon and we hung out in my dorm room. Since I had never seen “The Emperor’s New Groove” before, it’s been a goal of hers to watch it with me. We attempted to, but she fell asleep soon after it started. I can’t blame her – I get super tired after being on a plane as well. I ended up watching it by myself and playing Overwatch until she woke up. Speaking of, did you know that Mercedes is an Overwatch pro? She’s incredibly high ranked and puts me to shame. I took advantage of her presence by having her coach me in-person. At one point, she was moving my character around and I was just aiming. Apparently, I get massive tunnel vision while playing because she kept screaming, “LOOK AROUND! LOOK AROUND PLEASE.” I’m sorry! Mercedes (left) and me (right)! For lunch, we ended up eating on campus at Steak and Shake. Afterward, we chilled a bit and played cards. Mercedes had never played the card game “war” before which absolutely shocked me. I taught her how to play and took it a lot more seriously than I probably should have. After all, there’s no skill involved in that game, lol. Sometimes you have to have a little fun with it though. Eventually, the other community members we were expecting arrived and we started to prepare for our community livestream. That didn’t go EXACTLY as planned. Technical difficulties caused significant delays that we were pretty upset about. I’m very sorry to the people who were patiently waiting for us to start. In case you missed the livestream, you can view the recording HERE. 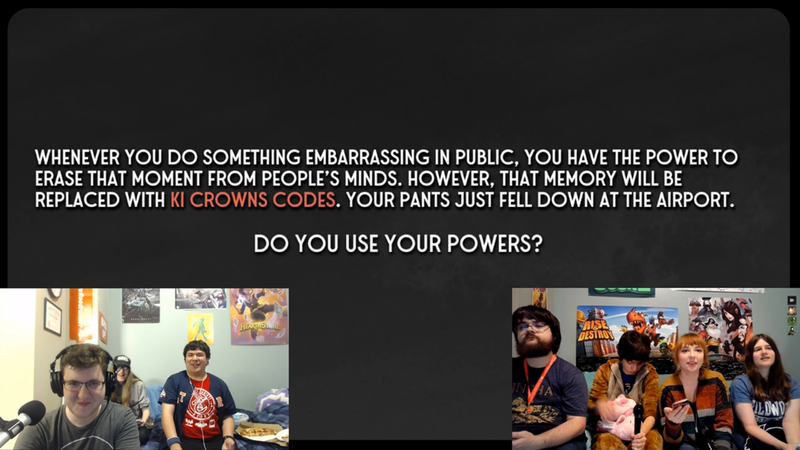 We played Jackbox party games with various community members. Half of them were in my room, and the other half were in Mike FireHammer’s room down the hall. It was a TON of fun and pretty amazing to have so many community members together in one place. Once that was over, everybody was exhausted and we rested up for the big day that followed. Mercedes and I woke up earlier than either of us would’ve liked, but we had to get ready for an adventure! We took a Lyft downtown to get to the bus that would take us to Austin. 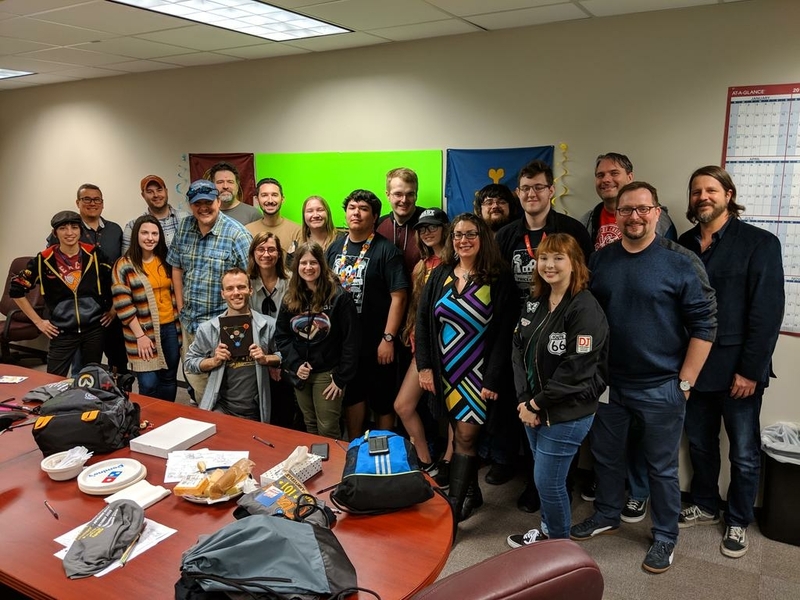 Knowing that so many community members would be together for the first time, we took the opportunity to plan a KingsIsle office tour well ahead of time. Soon after everyone arrived at the office, we left to get lunch at a nearby Mexican restaurant. In an unexpected turn of events, Ryan (BinaryConjurer) accidentally got left behind at the restaurant, but Renee sprang into action and went back for him. Oops, sorry Ryan! 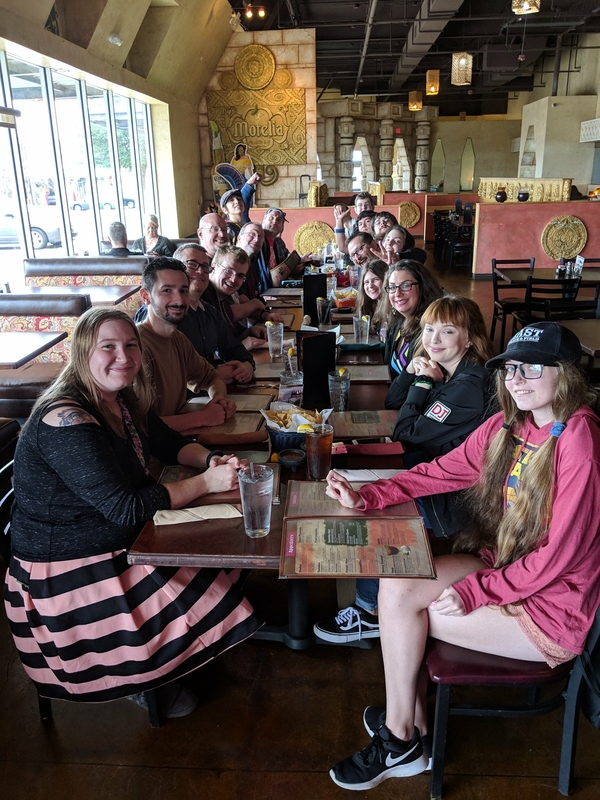 KingsIsle staff and community members at lunch! Once our bellies were full and everyone was present, Mathew brought out the NDAs and told us what to expect. I can’t tell you guys what we saw, but the entire visit was a blast. I want to send a huge thank you to everyone at the office! You guys are ALWAYS so welcoming and sweet. Trust me, I’ve been there enough times to know. 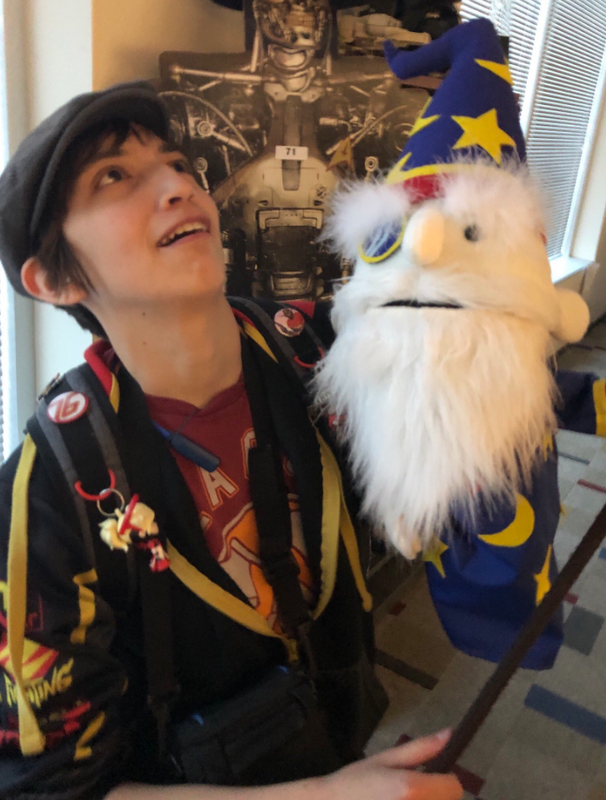 ;) It was amazing to see everyone’s reactions to all the cool trinkets laying around the office such as the huge metal Wizard101 sign, the ninja pig head, Malistaire’s staff, and all the hot sauce. Mercedes and I also spent some quality time with Puppet Merle who made an appearance on KI Live awhile back. Everyone who went on the tour received a special Wizard101 10th Anniversary shirt. Since I already had one from the first small batch that was sent out to community leaders, I picked one up for my brother who was unable to make it to the tour that day (love you Brodust! <3). Gary Smith also handed out these nifty broomstick pens that he made himself. So cool! In preparation for our visit, Tony Gaddis surprised me, Mercedes, and Mia (DearlyDoodles) with animations of our characters. He gave us copies of his original sketches as well as flipbooks to match. You’re the best, Tony! Near the end of the tour, we all celebrated Cheese Day with an assortment of tasty options. Soon after, everyone got pulled into the KI Live room where we had an opportunity to ask questions and give feedback to the devs. It was an eye-opening experience, and everyone in the room just about cried when Oki (Okidenshi) shared a very special gift with KingsIsle. She handmade a spiral spellbook. KingsIsle wanted to use it as the official KingsIsle Office guestbook, so we all signed the first page and left messages behind. (Side note: Oki is one of the sweetest people in the history of forever so there’s that). 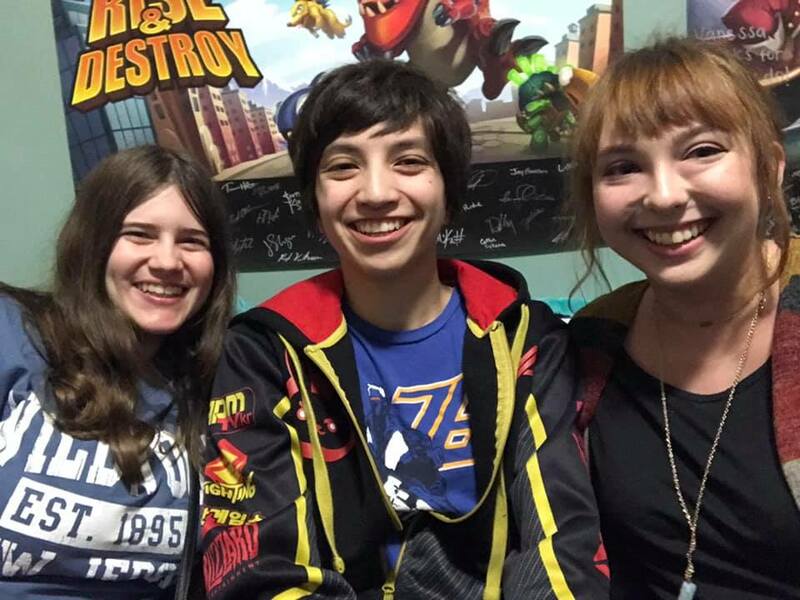 Group pic in the KI Live room! Once everyone departed back to San Antonio, Mercedes and I stayed behind to meet-up with Elik (Rhea Shelley). All three of us are close friends from our unofficial Overwatch team called the “Austin Potatoes.” He offered to let us stay at his house for the night, so we took him up on it and would return to San Antonio the following morning. After eating Torchy’s Tacos, we went back to his place and OH MY GOSH HIS HOUSE IS AMAZING. So. many. antiques. He also has a theater room, a music room, and a FANTASTIC gaming room. There’s a huge dragon head over the doorway guys. Because Tom (and his wife Kari), Leala, and Beau are also friends and a part of the Austin Potatoes, they came over for some fun. We played a game called “Codename” which was pretty interesting and challenging. 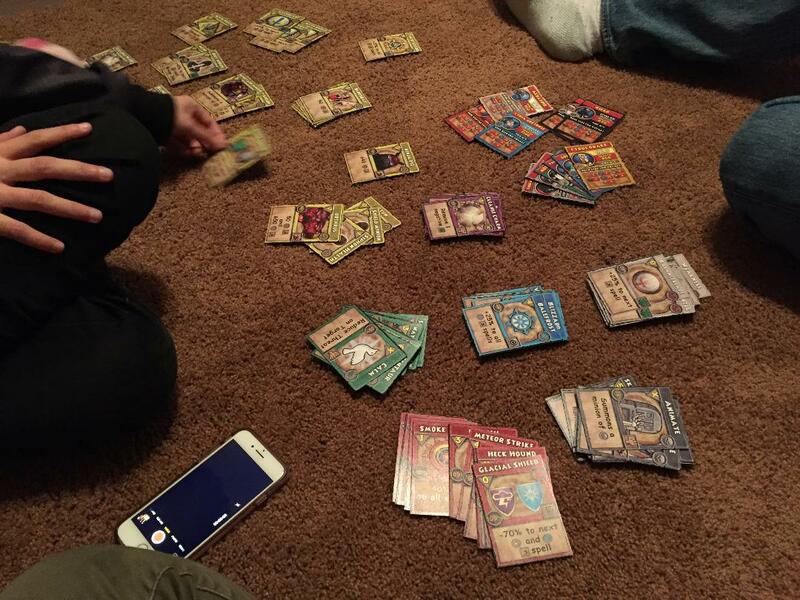 Before the night was over, we also stumbled upon some old Wizard101 cards. Elik explained that they were used in local comic/game stores to hype up the launch of the game back in 2008. Could you imagine if these were mass produced? It would’ve been so cool to play with physical Wizard101 spells! Since the actual game was quite complicated and involved a lot of math, Elik and I just played war with them using the number of pips as the numeric value. He won because he pulled an “X Pip” card which we determined would have the highest value. I’ll get him next time. Renee picked us up from Elik’s house in the morning. While we debated stopping at Buc-ee’s on the way to San Antonio, we ended up going to Krispy Kreme for doughnuts instead. 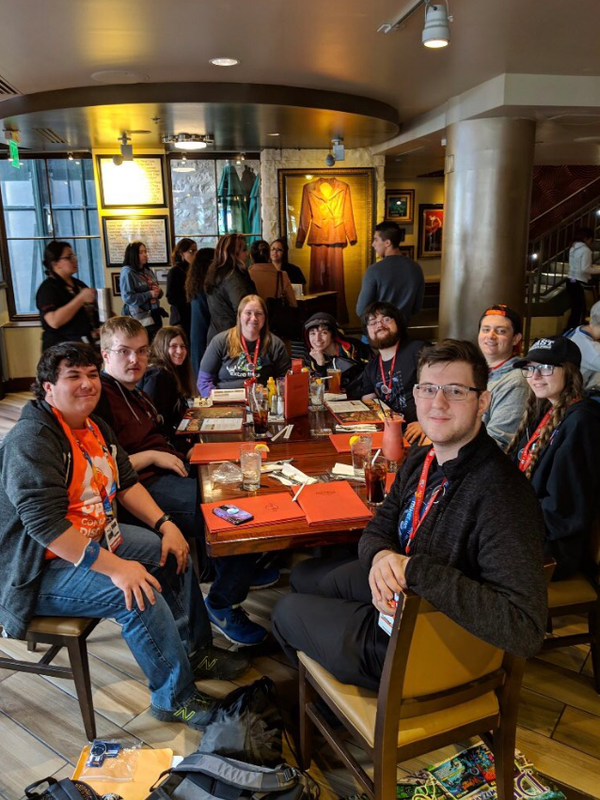 Once we arrived at PAX South, all community members met up for a short bit and then dispersed. The rest of the day consisted of wandering around the show floor, attending panels, and chatting with all these awesome people. I attended a community-oriented gaming industry panel with Mathew and Renee. When it came time for dinner, the group decided on an Italian restaurant called La Focaccia. They had AMAZING bread. My gosh, that stuff was addictive. 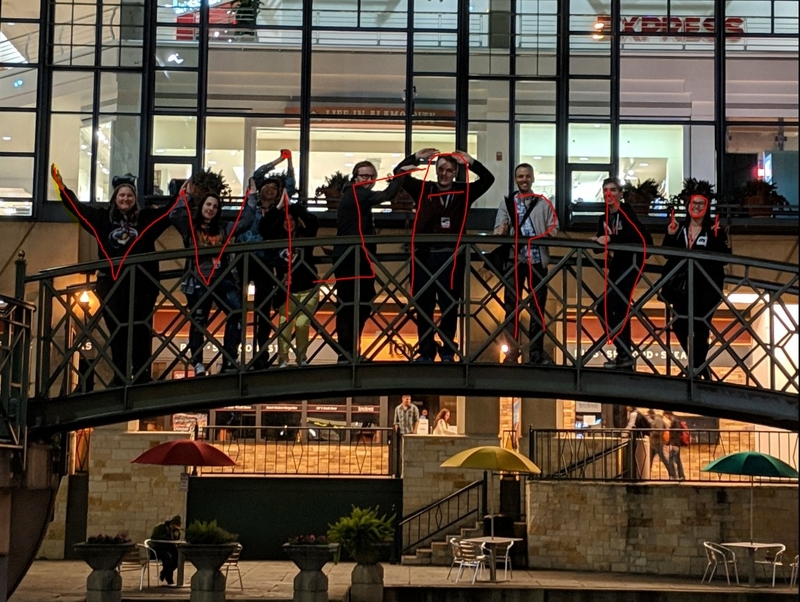 After dinner, many people were interested in exploring downtown San Antonio, so that’s exactly what we did! We walked over to the Alamo (where there was some weird ritual going on. I couldn’t make out what they were saying). We then walked down to the Riverwalk where we snapped some incredible pictures on the bridge. From there, we bought tickets for the Riverwalk boat tour and had a relaxing time on the peaceful waters. At one point, we tried to spell out “Wizard101” with our bodies, but … well … uh … an attempt was made at least? The night quickly turned from peaceful to crazy after we went to a restaurant called Margaritaville. The wizards 21 and older enjoyed alcoholic beverages while the young’uns had water or soda. There was this strange incident with a bird while we were there… but I’ll let Seth tell that story. ;) Getting back to the dorm that night was a struggle (surge pricing for Lyft had the price at $88). After waiting it out, we were able to get one back for $20. Me, Mercedes, and my brother met up with Renee for breakfast on Sunday. Afterward, we dispersed for a bit. Mercedes’ cousins were in town so we spent some time with them. 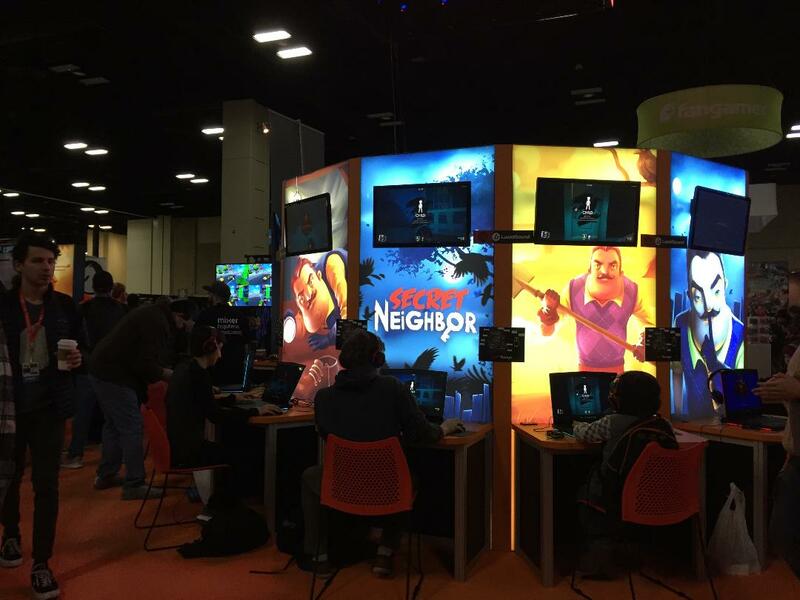 tinyBuild, the creator of indie hit “Hello Neighbor” was at PAX South showcasing their new game “Secret Neighbor.” It’s a multiplayer suspenseful horror game that keeps you on your toes. Five players enter the game as kids. Your goal is to work together to find enough keys to rescue your friend from the neighbor’s basement. One problem though … one of the five players is no kid – they’re actually the neighbor in disguise. You have to collect all the keys and rescue your friend before the secret neighbor kills all of you. Since there were five of us (me, Mercedes, my brother, and Mercedes’ two cousins), we thought this would be the perfect game to play as a group. It was a long wait, but it was worth it! Mercedes ended up being the secret neighbor and … sigh … killed all of us. It was fun though! It’s definitely something I’d play when it’s actually released. Shhh … who’s the secret neighbor? Once PAX South concluded, Mercedes and I made our way back to the dorm. We ended up ordering pizza and playing Jackbox party games with my brother and some friends (we didn’t stream it though). Mercedes tried putting the pizza under “Mythdust” (and even spelled it out for them! 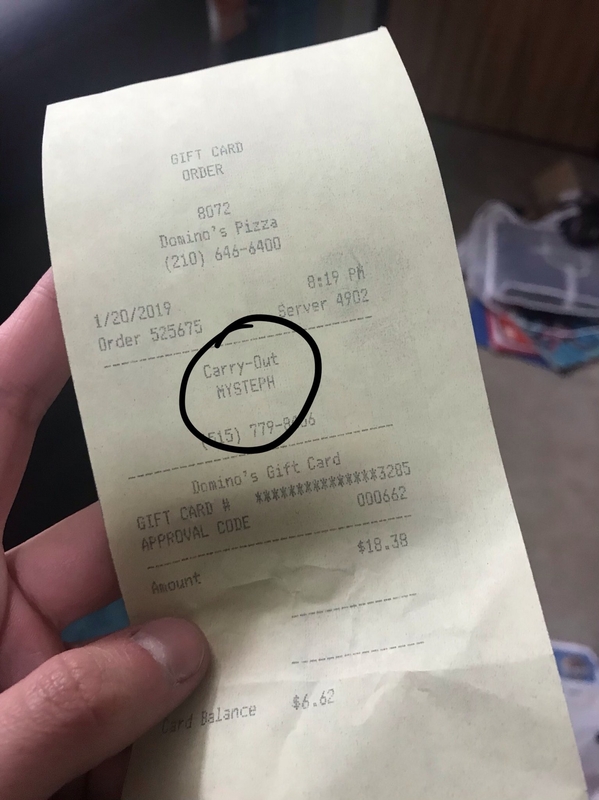 ), but the receipt said “Mysteph” sooo …. whoops. 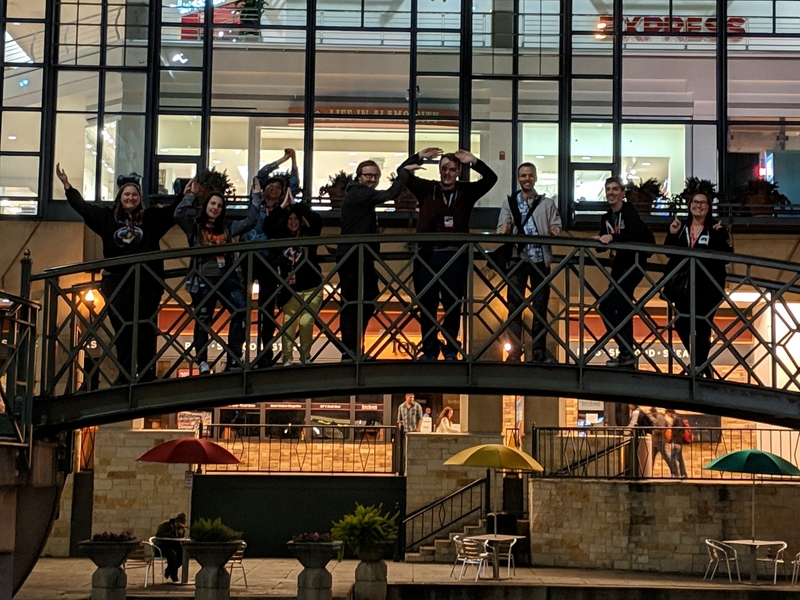 The PAX South adventure officially concluded on Monday after breakfast at Taco Cabana. 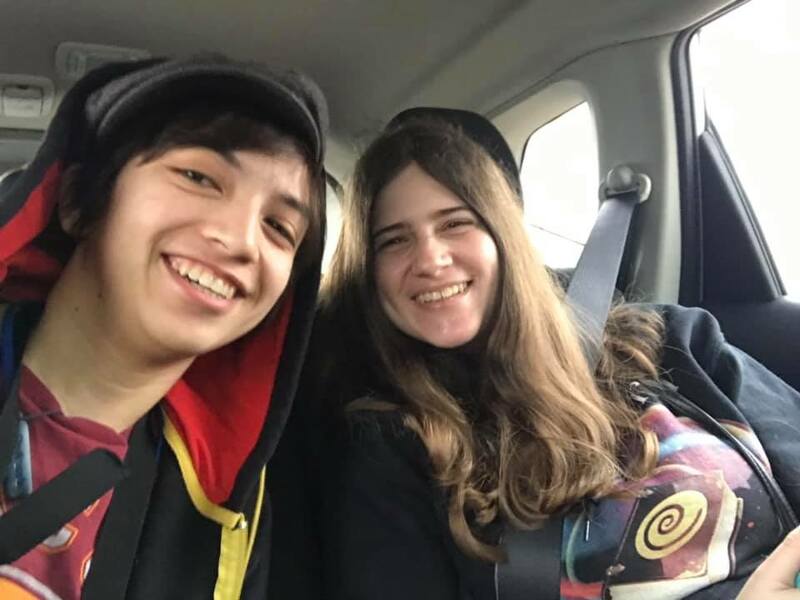 Although me, my brother, and Mercedes had a little time for Mario Party on the Nintendo Switch before our goodbyes, Mercedes eventually had to head home. Overall, it was a fantastic time and I’m so glad people were able to join and meet us. It’s crazy seeing these voices in your head manifest as real people, lol. I’m hopeful that even more people will be able to come next year. 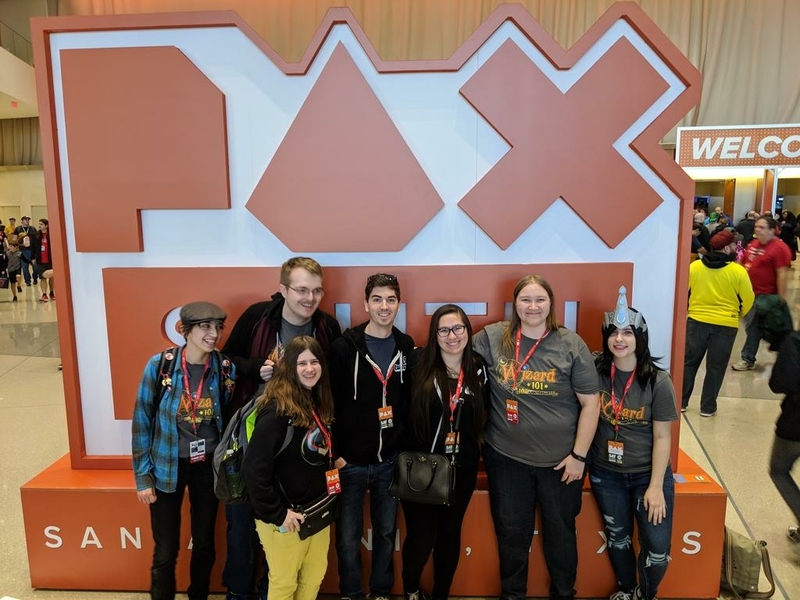 How cool would it be for a KingsIsle community PAX South meetup to be an annual thing?! Thanks to everyone who I met and hung out with on this trip! You all rock and I can’t wait to see you guys again sometime!